Participants will construct a simple circuit with parts salvaged from battery-operated toys and apply it to a machine made of drawing implements that they design. 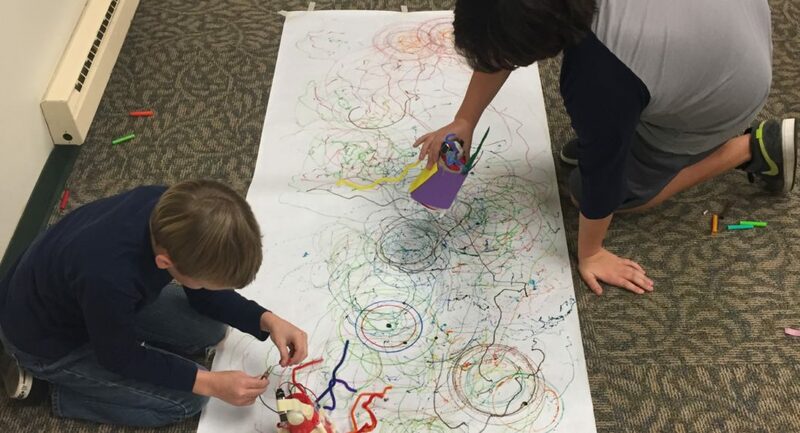 Near the end of the session, the “drawing machines” are placed on large pieces of paper to see the various marks they can make and students discuss how these differences were obtained. Watch the video below to see an example of the “drawing machines” in action!